How much do you spend on your Nintendo Switch case? $15? $30? 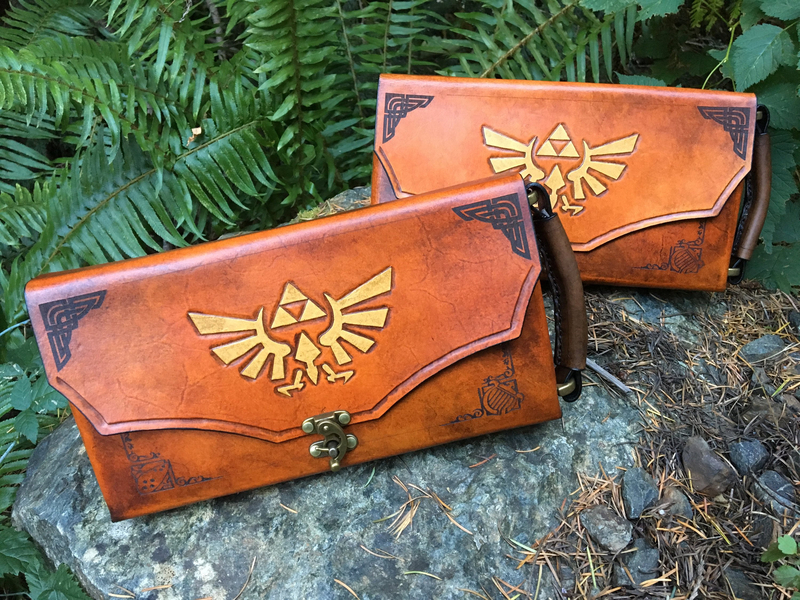 Well, if you are looking to sit in the lap of luxury, an impeccable $200+ option exists — specifically, a leather-bound The Legend of Zelda inspired carrying case, that draws from Majora’s Mask, Breath of the Wild, and Ocarina of Time. And while buying a case that costs nearly as much as a console is perhaps extreme, it is without a doubt a case fit for a Hero. The case is being sold by an independent store, Mr.Hydez Leather studio. All pieces of work are handmade by Canadian leatherworker Ian Finch-Field, who owns the store, and he does far more work than just game cases. Meanwhile, the back is a big tribute to The Legend of Zelda: Majora’s Mask and a small Triforce on the attached pouch that comes in two different sizes. Opening up the main flap, you can see the Sheikah symbol made popular in Breath of the Wild. In fact, all around the work are cool little nooks, crannies, and details including a Triforce on the handle. Most importantly, there is some suede and sheep wool interior that will make sure you don’t have any scratches on the Nintendo Switch screen. The Legend of Zelda handcrafted projects are all the rage as we hype up for the remake of Link’s Awakening. Yesterday we highlighted a “magical” Sheikah Rune phone charger that lights up as you charge your phone; meanwhile others are creating Breath of the Wild themed lanterns. The next upcoming The Legend of Zelda project is a remaster of Link’s Awakening which will be coming to Nintendo Switch exclusively sometime in 2019. If you are interested in dipping into the source material (which is arguably the best Zelda game), you can pick up the title on Nintendo 3DS via Amazon. Meanwhile, if you are interested in picking up this case for yourself, check out Mr.Hydez online shop.